NARRATOR: America is the land of opportunity, but for many, these opportunities are out of reach. Some sources claim that up to 3.5 million individuals in the US are homeless. 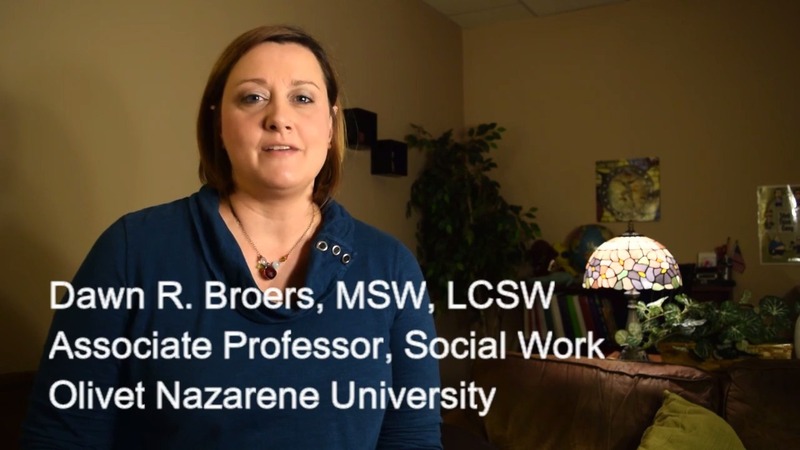 DAWN BROERS: My name is Dawn Broers, and I am a professor of social work at Olivet Nazarene University in Bourbonnais, Illinois. I have been a social worker in this community for over 20 years, but I was still shocked to find out that several people freeze to death every winter due to exposure to the elements in my community. I was heartbroken when I heard that, and I know my community can do better. As a Walden University student, my studies toward obtaining a PhD in social work policy practice have empowered me to be a change maker within my community. They have equipped me with the confidence and inspiration to respond to this imminent need and also with the knowledge to build partnerships and create programs that provide evidence-based services. Research on homelessness shows trauma-informed care, where relationships and trust are established before any expectation of change, is best practice. We need to meet the homeless where they are. And so Fortitude Canteen Outreach was born, with a strategic partnership with our local Salvation Army and a local church. We will utilize the Salvation Army's canteen truck. And beginning in January of 2017, teams of volunteers will load the truck with supplies and food and will head out weekly, not only to give these out, but to make friends, hear stories, and gain trust. Through these relationships, we hope to be the bridge between homeless to housed. Thanks to my education at Walden University, Fortitude volunteers will be ready to roll in January, armed with evidence-based practices, strategic partnerships, and a desire for social change. With a PhD in Social Work from Walden, Dawn Broers learned to provide evidence-based services to help the homeless in her community by first establishing relationships and trust.